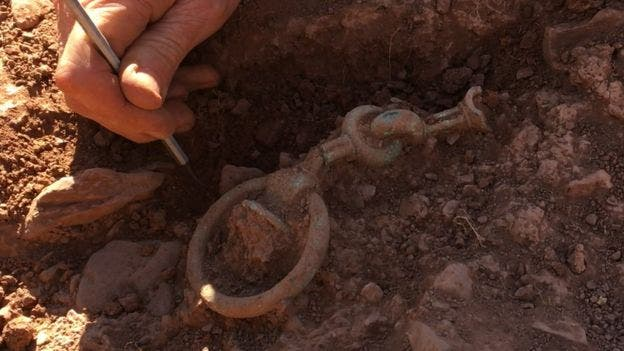 An amateur treasure hunter using a metal detector has uncovered what is thought to be the first Celtic chariot burial ever uncovered in Wales. A terret ring that would have guided the chariot reins. Image credits: Mike Smith. The UK is by far one of the best countries for archaeology and treasure hunters alike. Not only does it have a lot of history, from Roman to medieval and even modern sites, but they are also relatively close to the surface (due to the country’s environmental conditions). Policy also encourages amateur archaeologists, as they are given a share of any valuable findings they are able to (legally) discover. This has created a national love story with archaeology — with amazing results. 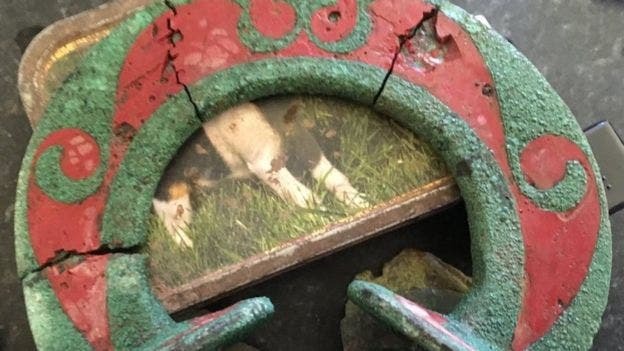 Amateur treasure hunters are relatively common in the UK, and it’s not surprising that they occasionally come across some remarkable stuff. Mike Smith is a long time treasure hunter, and has been using a metal detector for about three decades. 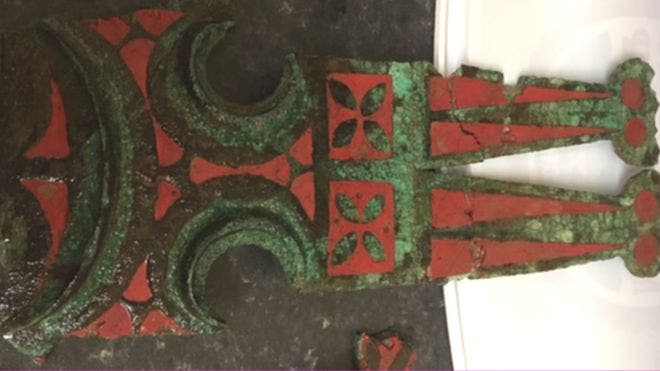 Recently, he found what he initially thought was a medieval brooch; however, when he emailed an expert, he learned it was a piece of a Celtic horse chariot dating from 600 BC. So he immediately went back to the site and searched until he found several more pieces, all of which seemed to be pieces of a chariot. Diggin up one of two bridle bits being unearthed, indicating a pair of ponies. Image credits: Mike Smith. It was the best finding he could hope for. Initially, other archaeologists were skeptical of his finding, because no Celtic chariot has ever been found in the area. However, by June, the Dyfed Archaeological Trust and National Museum Wales were convinced to carry out a preliminary excavation and confirmed that it was indeed a chariot — they even found its wheels. This bronze and enamel decoration would have been worn by the chariot’s ponies. Image credits: Mike Smith. The full significance of this site, however, is still not clear. Smith suspects that there might be a massive settlement nearby, which was confirmed by additional prospection. A Ground Penetrating Radar (a geophysical method commonly used in archaeology to “see” what lies underground) survey revealed what seems to be a complex of ditches and walls.